Createspace Independent Publishing Platform, 9781540877949, 226pp. They roll in from unknown places, mysterious and unexplained. They take root, take over, spread to all corners and refuse to be eradicated. No one can say why they came, but there's no arguing that they're up to no good. These plants are out for blood, and getting rid of them will take a certain kind of hero-the best kind. Wandering Weeds. 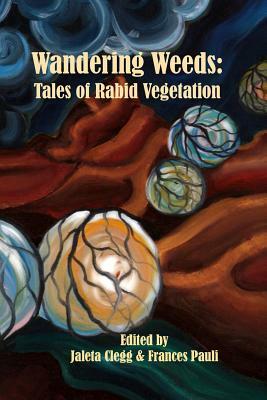 Twenty-five tales of evil weeds to entertain, enthrall and change the way you look at the unwelcome invaders in your lawn. From feral tumbleweeds to ravenous seaweed, from alien lifeforms to migrating asteroid fields, in these pages you will find fairy tales and weird westerns, space romps and chilling horror stories. Scary or silly, wicked or wily, these plants are here to stay. Author list: Rebecca L. Brown, Kevin J. Childs, Jaleta Clegg, Bryan Thomas Schmidt, Duane Ackerson, C. H. Lindsay, M. Pax, Terry Alexander, Berin Stephens, Mo Castles, Adriane Ceallaigh, Voss Foster, Brian D Mazur, Katherine Sanger, Eric J. Guignard, Audrey Schaefer, David J. West, Robert Borski, Frances Pauli, Andrea Tantillo, V. Hynes Johnston, Ann Willows, James Hartley, Louise Maskill, Katie M John.